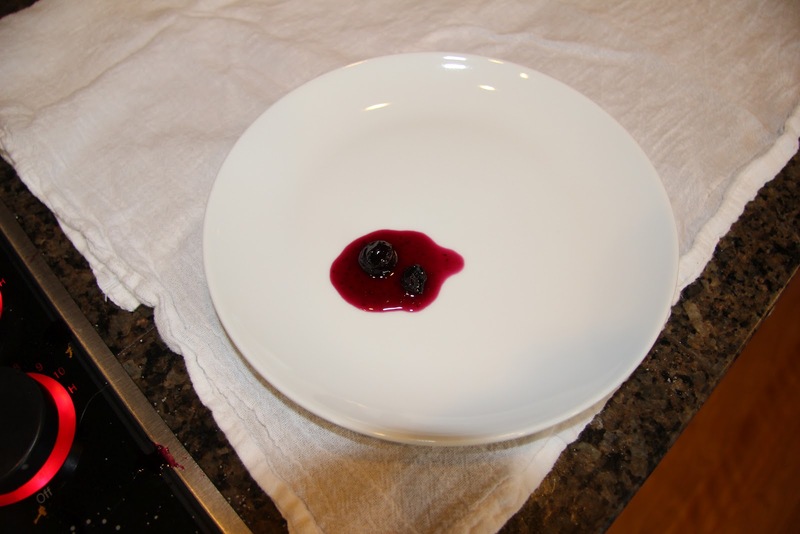 I realize that blueberry season is pretty much over. 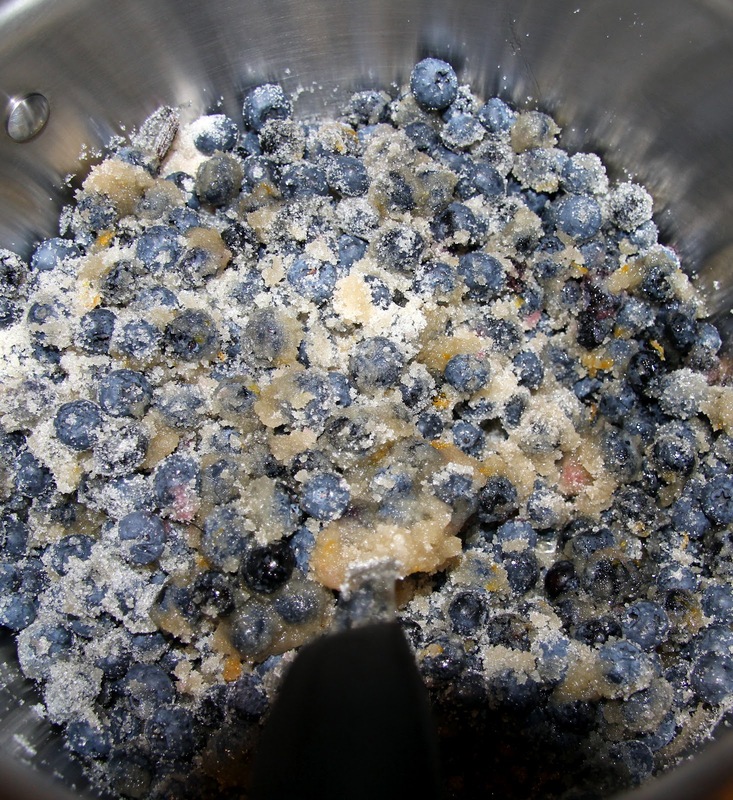 That’s okay though because, for these preserves, you may use frozen blueberries. You will have just as good of a result, taste-wise, and also maintain all their antioxidants to fight those pesky free radicals. Often times, frozen fruits and vegetables are even higher in nutritional value than fresh because they are frozen immediately after picking and don’t have to make the long journey from the farm to your grocery store. They’re usually less expensive too so don’t think you’re shortchanging your health by buying frozen. If you can get local or organic, all the better! 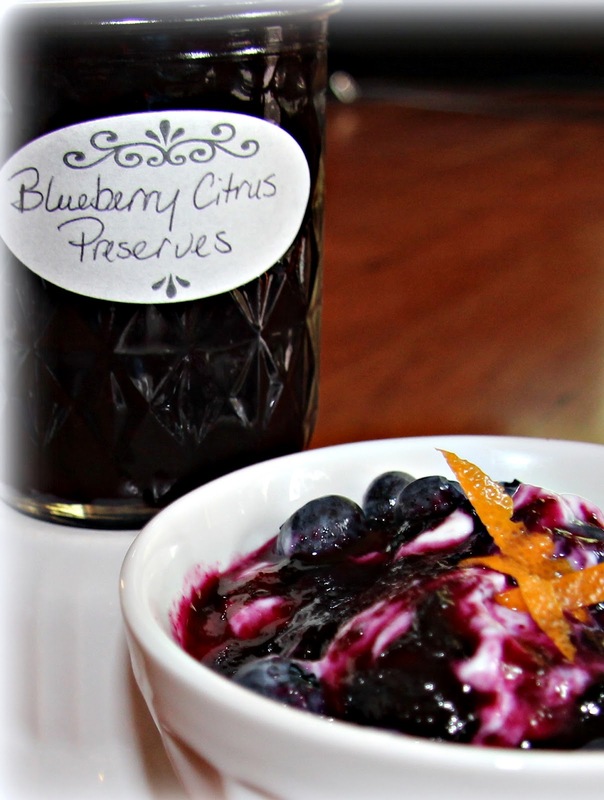 You may be wondering why you need such a thing as a jar of blueberry vanilla citrus preserves in your fridge or pantry. My answer to that is simple, Greek yogurt. That’s what I primarily use it for although it would also be lovely on pancakes, scones, plain cheesecake or paired with a soft goat cheese or brie. It’s quite sweet and flavorful so a little goes a long way. I like that I can put it in my (almost daily) Greek yogurt and control the amount of sweetness which is hard to do with premixed, flavored yogurt. I also know for sure that there are no artificial ingredients. Of course, another benefit of having any sort of homemade, jarred preserves or jam around is that they make a great hostess or holiday gift. These preserves are a little different, the vanilla-citrus flavor is really lovely and unique, which makes them even more fun to share with friends and family. 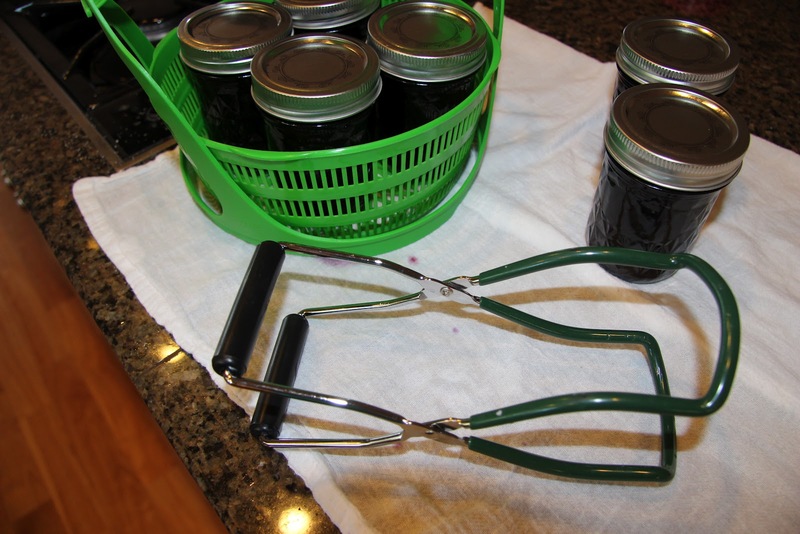 If you have questions about canning, here’s a link for you. If you have any interest in doing it, I promise it’s not hard and it’s really gratifying. Make sure you’ve read through the recipe and have your ingredients and equipment ready before you begin. 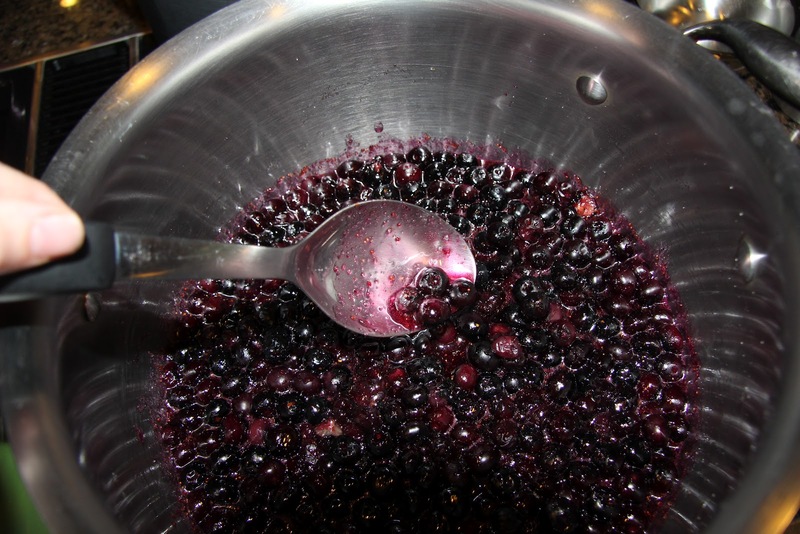 In a preserving pan (6 to 8 qt, heavy bottomed saucepan or stock pot), combine all of the ingredients. Cook over medium heat, stirring gently, until sugar dissolves. Raise the heat to medium-high and bring the ingredients to a boil. 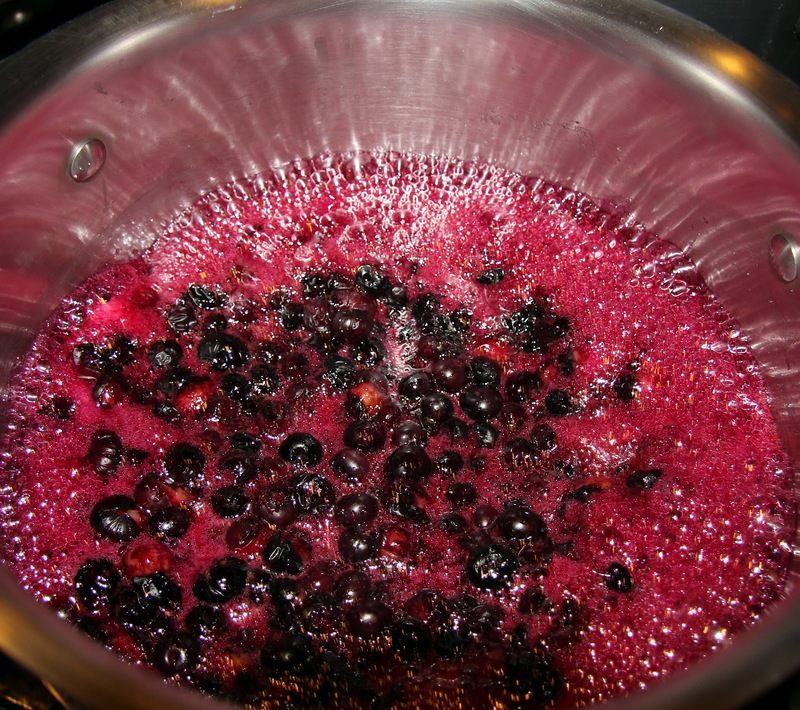 Reduce the heat and simmer the mixture for 10 minutes, stirring frequently. 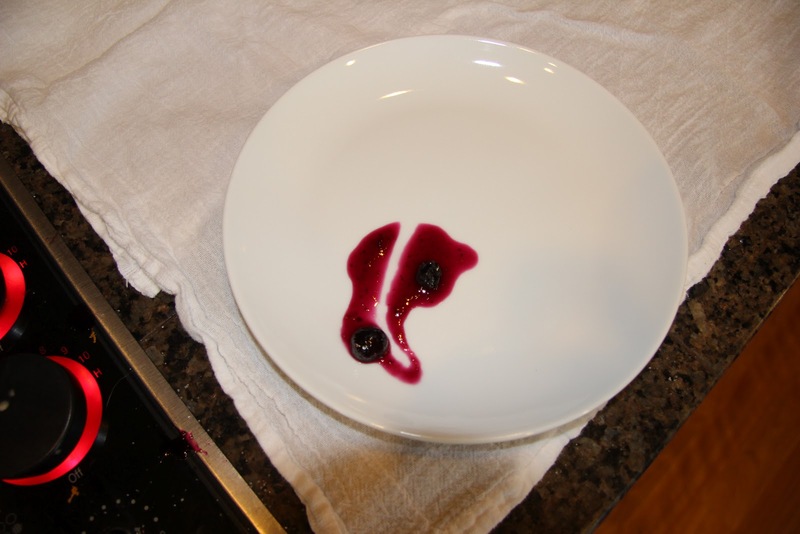 Use a wet pastry brush to dissolve sugar crystals that build up on the sides of the pan. 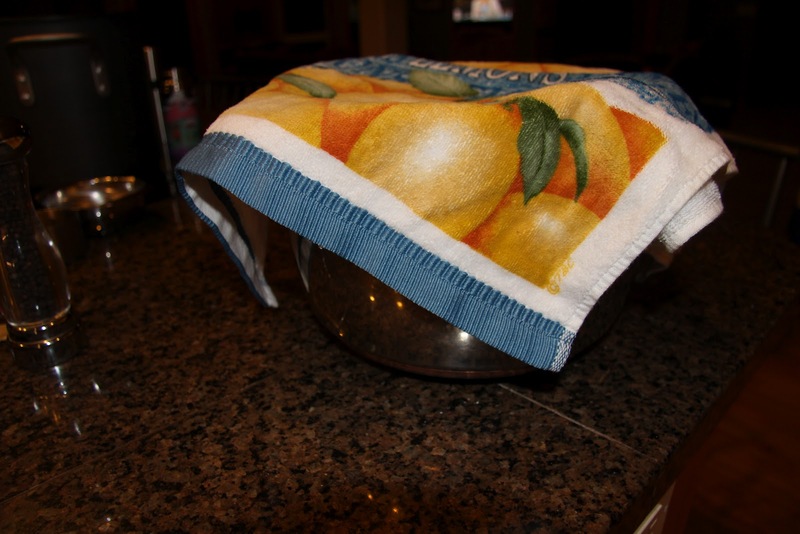 Remove the pan from the heat and cover it with a cloth. Let the pan stand at room temperature for 8 – 12 hours. 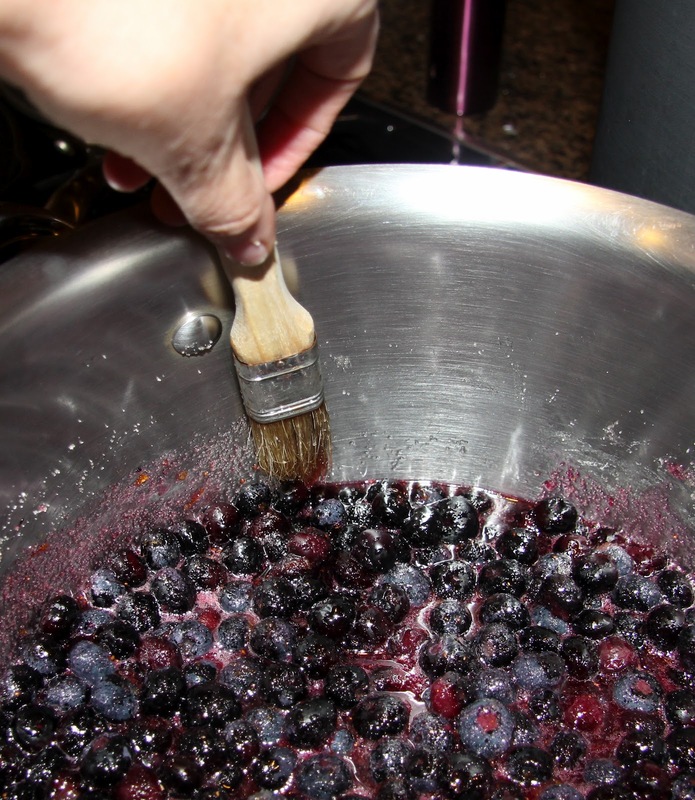 Fill a large (@12 qt) stockpot with water, heat on high until boiling, reduce heat and keep just below boiling temp until your ready to process your canning jars. Meanwhile, return the pan to the heat and bring the contents to a boil. 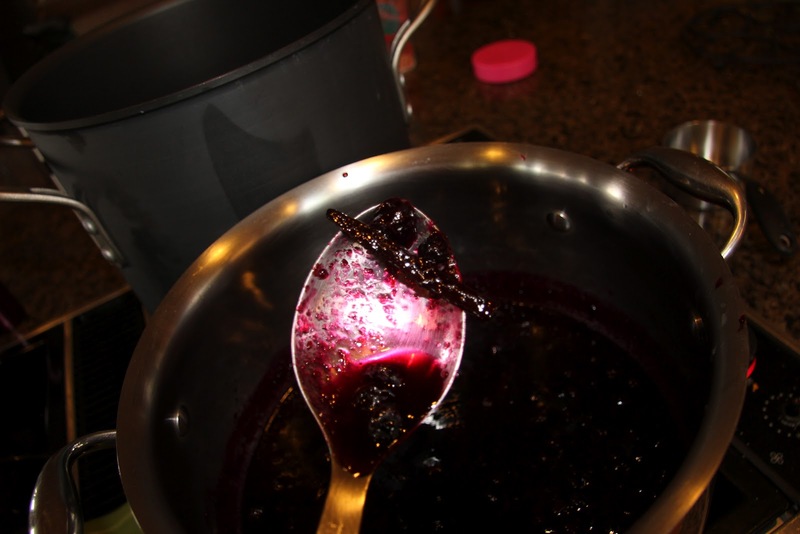 Continue to boil the mixture until the syrup has thickened a little. Run a finger through it, if the path remains clear, it is thick enough. If not, return to a boil for 5 – 10 minutes and check again. 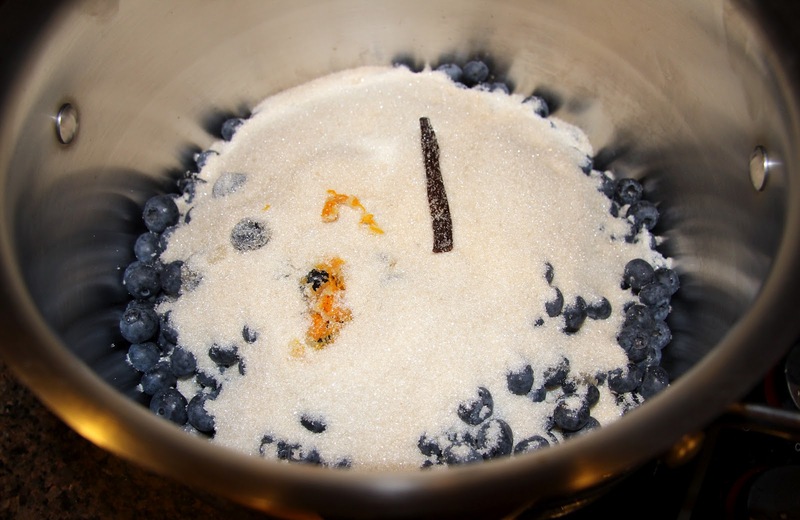 Remove the vanilla bean from the pan. 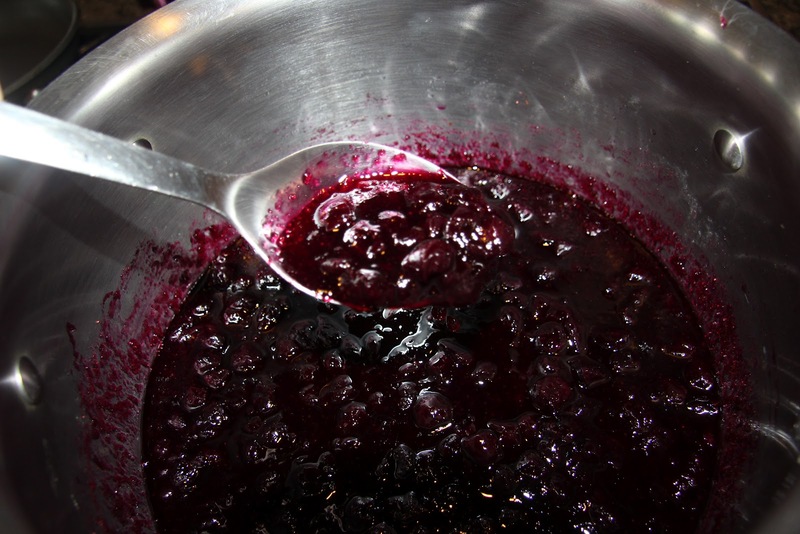 Allow the preserves to cool for about 5 minutes, stirring occasionally. 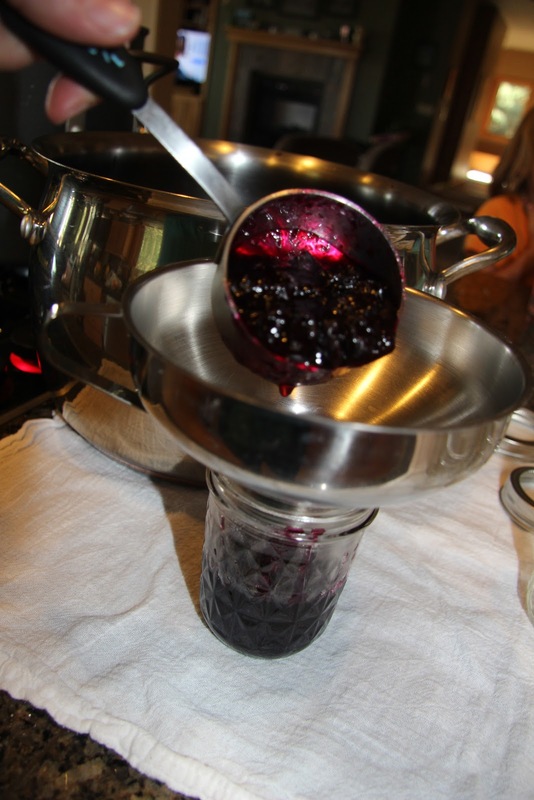 Ladle the preserves in to small jars 6oz – 8oz leaving about 1/4 inch head space. Add lids and rings and process the jars for 10 minutes in boiling water bath. You can find the items below, a polypropylene rack and canning tongs, at Amazon or (seasonally) Target. This is the lesson I’m working on… I think we can all relate.